The truth is, it isn’t doesn’t take a crazy complicated master plan and there’s no one right way to do it. If you have the skills to build a chatbot and understand the value you bring to a client relationship, it’s actually pretty straightforward. To show you, I interviewed six successful Bot Academy graduates to find out how they closed their first deals so that you can put their strategies to work for yourself. However, she didn’t shoot off hundreds or even dozens of generic emails to strangers on day one. Instead, she did what any good marketer would do. She tested her outreach strategy with a small group of people to see what worked. And she made her messaging personalized and relevant to the target audience. She narrowed her focus to a group of 5-10 people and did a little research. She looked through their Facebook pages to see what they’d posted about recently, and if there was anything they had in common that she could use to connect with them. Then, she included this personal touch or complimented their work right at the beginning of her emails to show they had a connection. One of her targets was a multi millionaire entrepreneur coach in Australia, and Kelly had actually been a student in one of her paid courses. In just a few hours she got a response and they scheduled a call. As a result, she sold her very first bot for $5,000! One reason she was able to pitch this high of a price right off the bat was her mindset. As she puts it, she’s not selling a chatbot, she’s selling a transformation. Whatever your client’s goal is, you’re helping them get there and that’s what you have to demonstrate. Once they understand how what you’re selling drives value that turns into leads and then sales, they’re ready to buy in. The final key she credits to her success? Not giving up. Nick’s experience is actually a two-for-one story with two strategies you can use to land your first chatbot client. It’s also one part success story and one part cautionary tale. So take heed of both. Let’s start with what he WON’T do again, which is ignore a potential client’s red flags and rely on vague agreements. 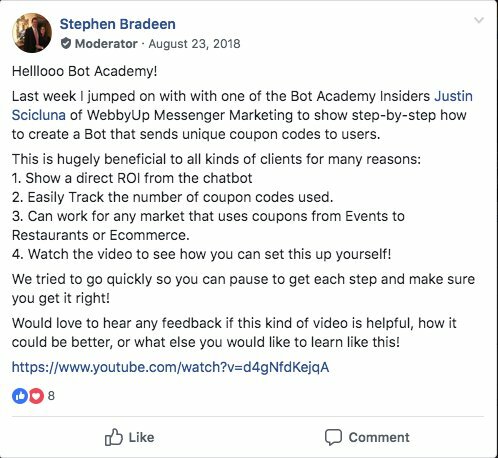 Nick was so excited to get started with chatbots that he actually started outreach before Bot Academy even began. And we have to applaud his enthusiasm because he did in fact land a client! 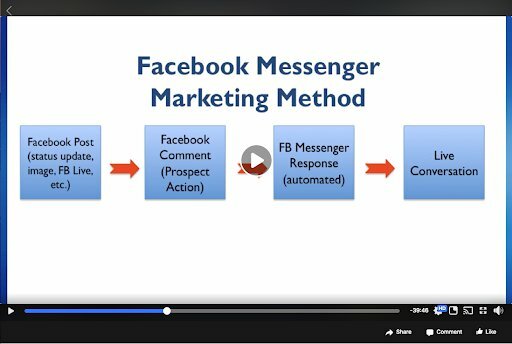 He made an informative post in an eCommerce Facebook group about how effective chatbots are as a marketing tool. Then he invited people who were interested in learning more to reach out. Someone did and they started a conversation, so far so good. But as they talked, red flags started popping up for Nick. Have you ever had that gut feeling that something was just a little bit off when scoping out a new prospect? He really wanted to close his first sale though, and this client was going to pay $2,000 for his first chatbot setup. So he decided to go with it, and sent over a barebones email proposal that pretty much just set the agreed upon price. 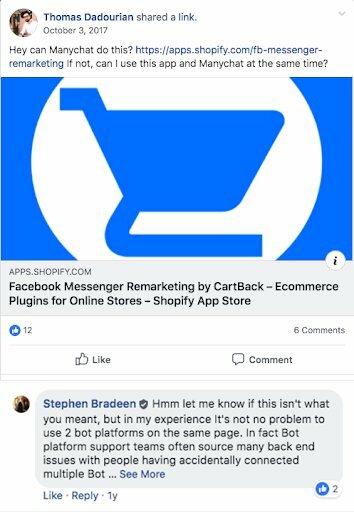 What this client didn’t say before this was that instead of setting up a bot for one Facebook page, he wanted bots for FIVE Facebook pages…still for $2,000. That was just the beginning of what became a very rough client relationship where neither side walked away happy. Fortunately, it didn’t take him long to land his next client using a new strategy and better closing approach. Was this really time consuming? Yes. Was it a great way to show the client what he was willing to put into their business? Yes. Not surprisingly, he got his foot in the door with a potential client, one that he felt good about working with. And this time he sent a detailed proposal with a mind map showing what the final chatbot flow would look like. This client paid him $2,500 to set up their bot and then an additional $1,500 to add onto it, and everyone walked away happy. Rather than cold emailing or social media prospecting, Duncan’s first bot client was a company he’d already worked with. Remember, it’s easier to sell an existing customer on something new than to acquire a whole new customer! Ask yourself if there’s anyone you know or work with who might need a bot. I’m willing to bet you can think of at least one person. In Duncan’s case, he and a partner reached out to a large political activism non-profit he’d worked with to pitch them on how chatbots could help them engage and grow their members. They were excited by the idea and invited him into their office to talk more about it in person. One meeting turned into several, and by the end he and his partner sold them on a retainer for £5,000 a month (about $6,400)! Since then, he’s gone on to land several more retainer clients so he has consistent income coming in and doesn’t constantly need to pitch new business. In fact, like with his first client, he always pitches a retainer right off the bat, rather than selling a one-off setup and trying to sell ongoing services later on. How does he keep clients paying him month after month? He focuses on adding new value every month in the way that makes sense for them. Yes, this does make his clients less dependent on him. But when we asked him if he considers this a risk, he said he’d rather be the source of the value. Whether he’s actually executing or he’s teaching their team how to execute, he’s still providing value as a trusted advisor. I’ll give you one guess as to how many people Antonio reached out to before landing his first bot client…. I’ll bet you didn’t expect zero. That’s right ZERO. As someone who considers himself an introvert, cold emailing or cold calling prospects was way outside of his wheelhouse. He was an expert in creating content though. So he turned to what he already knew worked for him, webinars and Facebook Lives. Do you have your own superpower that you can tap into to go outside the box and reach potential clients? In Antonio’s case, he put together a training that focused on the very core principle behind chatbots, the value of having real conversations with customers in order to drive sales. Then he showed what it looked like to have manual conversations via messenger with everyone who was interested in a product. He demonstrated what it looked like to reply to each person individually, like I recently did. And he asked the training attendees, what if you could have all of these conversations on autopilot using a tool and get the same results in practically no time? 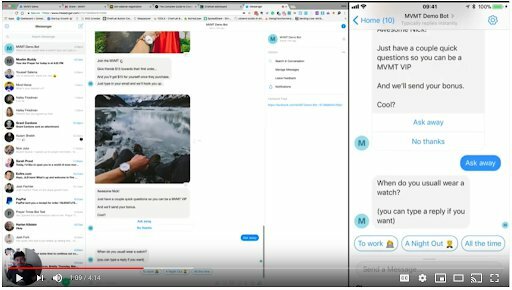 Finally, he showed a recorded demo video of a chatbot in action, doing exactly what he’d just shown them, but without spending hours typing into messenger. By this point people were hooked, and were jumping to schedule a call with him. This is truly the power of marketing in action because they were ready to buy a solution to a problem they didn’t even know they had before the training! He walked away from the training with his first client paying him a $1,500 setup fee and an ongoing $500/month retainer fee. Nerida’s story combines a few of the tactics from previous stories (personalization and creating demo bots). However, she used them in a way that really made an impression on her prospects. She started by specifically focusing on people whose work she was familiar with and admired. Do you have your own list of dream clients who you’d love to work with? 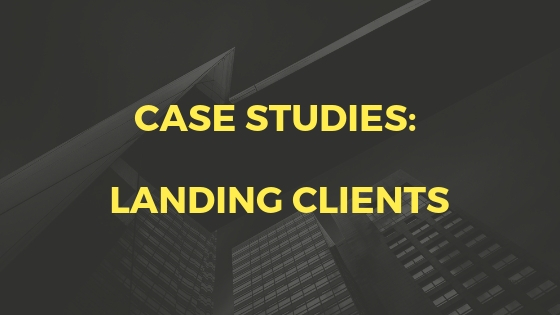 She actually shared that this made her earliest clients easier to land than the ones who came later because she was familiar with them and could really tailor her pitch. And that’s exactly what she did with the prospect who became her first client. Nerida noticed that this particular business owner had a launch coming up soon. 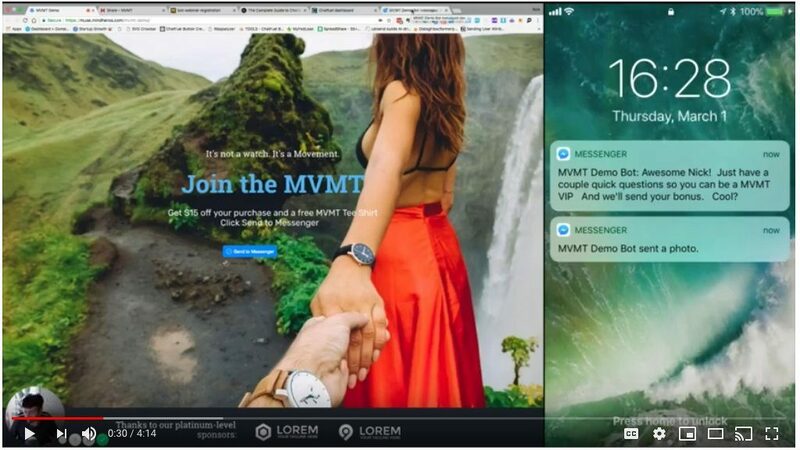 So she designed an experience to show the prospect exactly how bots could support her launch. She sent the link in her cold email (using the template from Bot Academy) so that the business owner could experience exactly what her users would experience if she put it in action. Since it was a real bot, Nerida could actually see once the prospect clicked and started interacting with the bot to know if she’d tried it out or not. 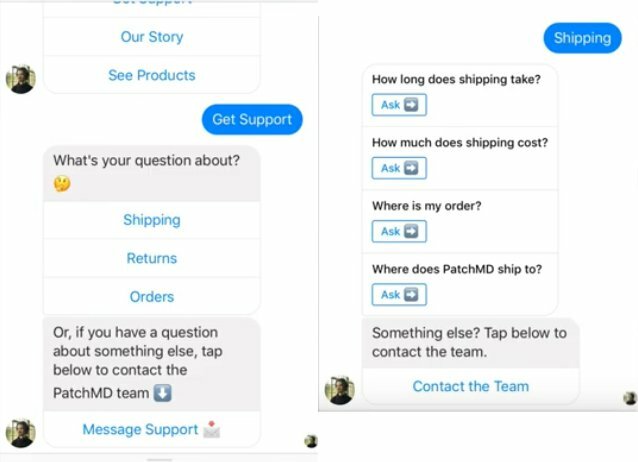 She could even message her through the bot to continue the sales conversation! To say Nerida felt awesome was an understatement. She hadn’t just landed her first bot client, she’d really blown away someone she’d been following and admired. And she did it by showing her how she could bring more value to what the client was already doing and make it even better. I want to leave you with this story because it speaks to something people don’t talk about enough. Stephen was really struggling before he discovered chatbots and built a business around them. He’d quit his job to pursue his true purpose of being an entrepreneur. But he struggled to have any kind of sales conversations for months and he was going into debt. Then enrolled in Bot Academy and saw the kind of impact chatbots could have on a business. He was hooked and knew that he wanted to offer this to clients. So he cold emailed a local gym right away, explaining how bots could help them grow their business. His enthusiasm must have been contagious because they invited him in for a meeting! And that’s when the fear set in. He got to the gym an hour before the meeting and paced outside, testing and retesting the demo bot he’d created for them. He went in, gave his pitch, and they were definitely interested. But, they wanted him to come back in to talk about moving forward and he couldn’t bring himself to do it. But not the fear you might think. It wasn’t the fear of going back to be rejected. It was the fear that they might say yes. Because if they hired him, he’d have to create something that was worthy of them hiring him. At the time he felt like he just needed to escape, so he walked away instead of pushing forward. But in hindsight, he realized this was simply fear to step into his true purpose. More importantly, he realized that this fear was a GOOD thing. As Stephen puts it, when you really want something that’s when you get the most nervous. And that’s how you know it’s where you need to go. 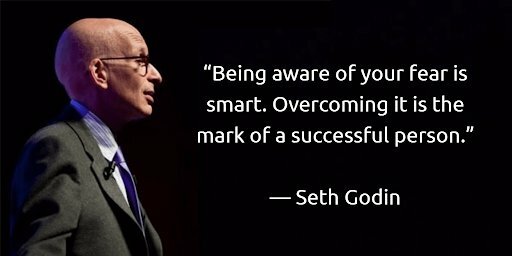 This really struck me because it aligns perfectly with something Seth Godin, the marketing author, once told me. He said when he feels that nervousness that’s when he knows he has to do it. Because that inner chatter doesn’t tell him not to do things that are insignificant. It only acts up when there’s something meaningful for his life to do. Have you ever felt that fear when you were right on the precipice of taking a big leap and stepping into your purpose? Stephen knew that he needed to keep moving forward, so he turned to the people and the tactic that he already knew worked – sharing his excitement about chatbots. 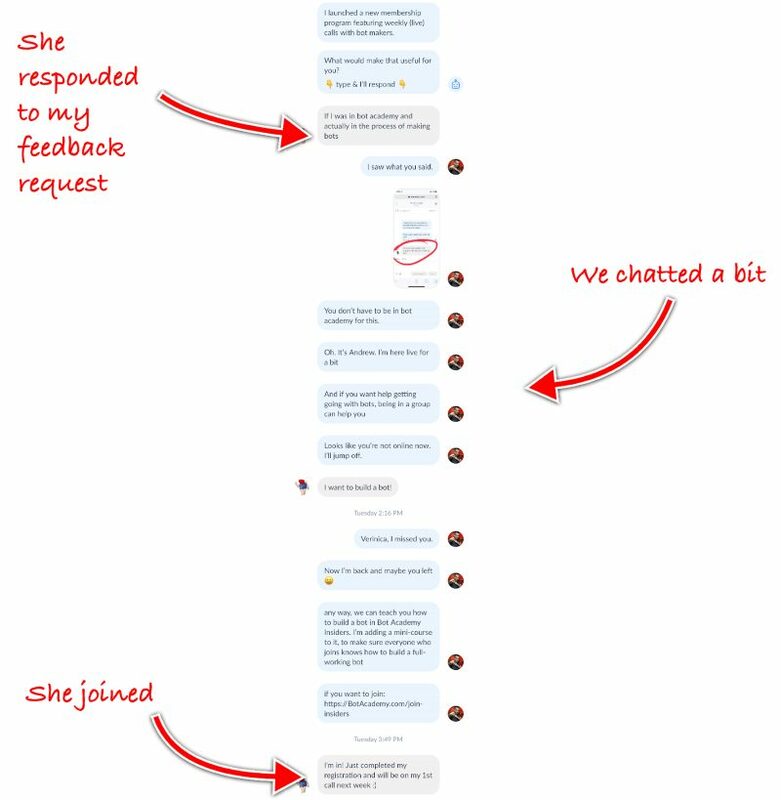 This led to him reconnecting with a longtime friend and agency owner who had a client that he knew could genuinely benefit from a chatbot. He partnered with this friend to have him pitch the client and white label his service. This meant no paralyzing fear from meeting with a prospect face to face, yet he could still use his expertise and his passion to help someone. Best of all, he sold this deal for a $1,000/month retainer fee and he’s kept them as a client for 14 months now. The fear and the nervousness didn’t go away, but it became quieter with every step. He found validation in getting to know the client’s pain points, diagnosing the problem, and offering a real solution that worked. He’s now able to fully support himself financially selling his chatbot services and he’s living his true purpose. He’s even started teaching others how to grow their own chatbot businesses, further growing his communities and establishing himself as a leader in the space. As you can see from all of these stories, there are tons of different ways land your first client. Each of these students took a different approach using the connections and the skills they already had. If you’re ready to build your own sustainable income using chatbots, we’re here to help. 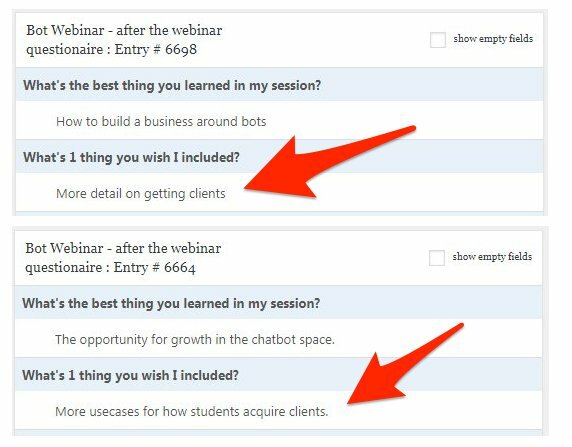 Join our free webinar to discover exactly how to build your first bot and start landing clients.